Red Box Engineering are pleased to provide metal fabrication in Southampton, Eastleigh, Totton, Hampshire and throughout the UK. 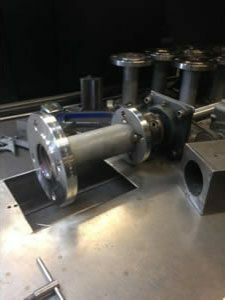 At Red Box Engineering we have over 55 years of experience, and as a result our metal fabrication capabilities allow us to produce machines, parts, and structures for an assortment of uses based on our customers special requirements. Many of the frames are just plain Mild Steel construction but in a lot of cases the requirements are for Stainless Steel or Aluminium. 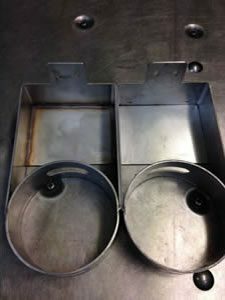 Our electropolishing capabilities mean we brighten the welds by removing the weld burn and produce a show finish. We produce a large volume of parts for our parent company, Red Box International, who manufacture Ground Power Units, and Aircraft Tugs that put our metal fabrication skills to test. 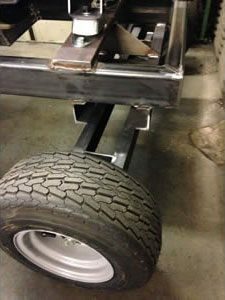 The process involves constructing the chassis, axles, weldments, panels, lids, handles through to wiring. Therefore, the result allows Red Box International to deliver the whole constructed product to the customer. As a result, these are the projects we welcome to our facility. Red Box Engineering provide welding and metal fabrication in Southampton, Eastleigh, Totton, Hampshire and throughout the UK. Finally, please contact us regarding all enquiries on 02380 254285 or by emailing sales@redboxengineering.com. Alternatively, fill in our online contact form today. Learn more about our other capabilities here.